Setting up an iPhone 8 or iPhone X VPN connection should not be a manual process where you should go around the iPhone 8 / iPhone X Control Center in iOS 11 and take 10 steps to create a VPN profile. Some VPN apps can do this automatically upon installation, so you don’t have to worry about it and can just get started as soon as possible. Plus – if you’re going to setup a VPN profile on your iPhone 8, that will only help you with privacy and security, but what about that inherent Internet connection slowdown that all traditional VPNs generate? Keep reading and find out how to setup a VPN on your iPhone 8 / iPhone X that will bring privacy & security for your data, as well as the best Internet speed. VPNs have not changed much in the past ten years. Almost all VPN systems slow down your Internet connection because of the security protocols they run. But, there is now a new generation VPN that runs faster and does much more than getting you privacy and security for your data. Speedify is the flagship of this new generation of VPNs, a true VPN for mobility. Speedify solves all of the biggest VPN problems while still delivering state-of-the-art data security and privacy. It allows your iPhone 8 / iPhone X to connect to the Internet through both a Wi-Fi and a mobile data connection at the same time. This means that you have more bandwidth. Your Internet connection becomes blazing fast. Speedify works in the background monitoring the quality of your connections. With a standard VPN if your Wi-Fi signal became unstable you would immediately be disconnected. But, with Speedify if one connection goes down (e.g. Wi-Fi), all the traffic is automatically rerouted to the other connection (mobile data, in this case) until the first connection (Wi-Fi) comes back online. Only Step: From your iPhone 8, iPhone X or iPad, head on to the Apple Store and download Speedify (you can also use our website for other platforms: Android, Windows, macOS). After it gets installed on your iPhone device, you can start using it. Speedify enginners are constantly working together with Apple to make the VPN setup process as simple as possible, so you will not get any pesky permissions notifications popping up on your screen. Speedify also takes your privacy seriously with the next generation fast VPN: Speedify does not log anything you do online while using the service, so you can rest assured that your communication is 100% safe! Forget About iOS 11 PPTP VPN Setup Tutorials – Just Get Speedify! As mentioned before, Speedify saves you a lot of time you would waste when manually setting up VPN profiles, as it does it automatically upon installation. Plus – thanks to its patent pending technology of combining Wi-Fi and 4G simultaneously, You can avoid buffering issues and disconnects when streaming movies or doing your own live streaming on Facebook or Twitch. You will get lightning fast page downloads. you also get the confidence of knowing that your FaceTime call won’t suddenly be disconnected because of your VPN or Wi-Fi issues. Speedify works with all your iOS 11 apps on iPhone 8 making sure they get a fast and reliable Internet connection with no additional setup necessary. The Internet is still a dangerous place. The best way to protect yourself is to always use a VPN on your iPhone. 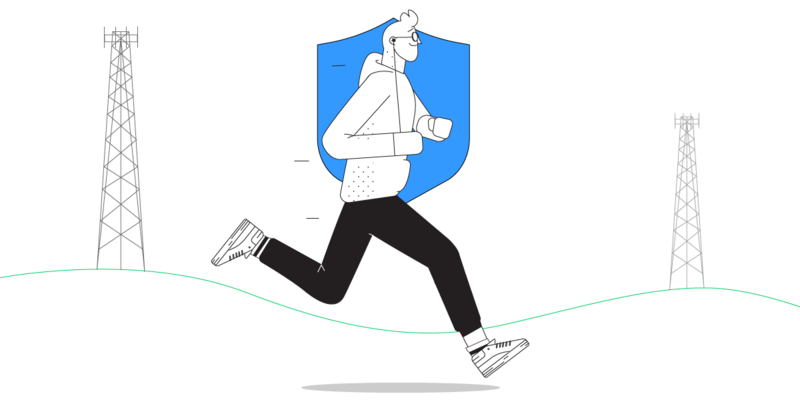 Thanks to Speedify, you can now stay safe with a VPN that won’t slow you down or disconnect you. Get started with Speedify today for FREE. Get it from the AppStore – no technical skills needed, no strings attached and absolutely no logging of data!